It’s probably the most recognized Blue Ridge Parkway icon–the beautiful S-curve bridge that curls around the eastern slope of Grandfather Mountain. Designed to protect the fragile landscape of the mountainside designated as an International Biosphere Reserve, the Linn Cove Viaduct was built using a unique cantilever construction that allowed workers to build the bridge almost without touching the ground. 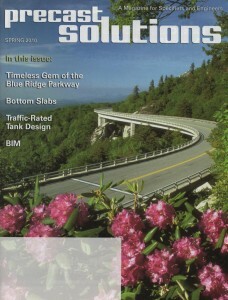 You can read my article about the remarkable construction process of this last completed section of the Parkway in the Spring 2010 issue of Precast Solutions magazine. For more details on touring the Blue Ridge Parkway, check out my new book Moon Blue Ridge and Smoky Mountains (Avalon Travel, 2010).